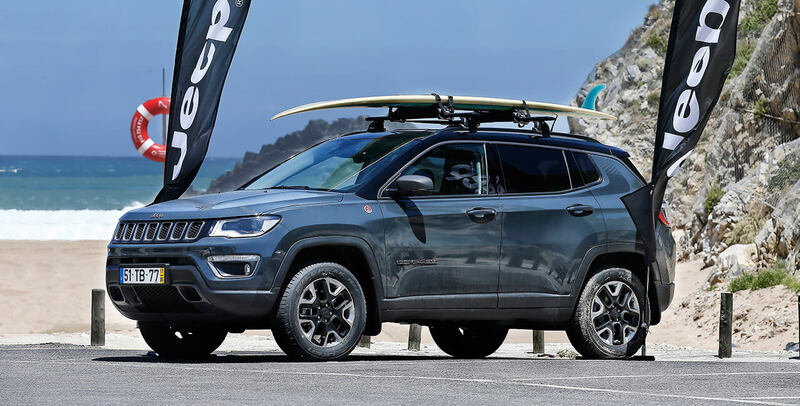 The Jeep® brand has extended for a third successive year its exclusive global partnership with the World Surf League and WSL Leaders Program – the adrenaline-fueled championship featuring the world’s best surfers. The decision was taken as the partnership perfectly represents the values shared by Jeep brand and board sports – authenticity, freedom, passion and adventure – and the synergy between the search for perfect wave and the enjoyment of off-road driving. This year’s thrilling WSL Leaders Program will run throughout the elite Championship Tour (CT), including four venues in the EMEA region: Jeffreys Bay, South Africa (July 12-23), Cascais, Portugal (September 27-October 5) and Hossegor, France (October 7-18) will host the men’s and women’s competition, while the last men’s competition of the EMEA region will take place in Peniche, Portugal (October 20-31). At every Championship Tour event, athletes will be competing for the exclusive Jeep® Leader jersey – the yellow jersey worn by the tour leader – while the overall tour winner will be rewarded with their very own Jeep. Spectators at each location will not only be treated to sensational, world-class surfing action, but will also be able to experience the very best of the Jeep brand, with the Jeep Compass – the star of the event – the Jeep range available for exciting test drives on specially designed off-road courses. The new Jeep Compass – the vehicle that perfectly embodies all the defining characteristics of a Jeep SUV – picks up the recognizable design cues that are unmistakably Jeep to visually communicate off-road capability, functionality and on-road dynamics. The Jeep DNA is under the skin as well: the car fits the exclusive and distinctive 4WD Jeep traction, as well as powertrain combinations and trim levels capable of satisfying all needs. The Jeep vehicles will also be available to shuttle VIPs and competitors. Within the village, visitors will also find an array of original side attractions, including tattooists and a photo booth where they can record their own animated gif.